OM Constructions, one of the major real estate builders and developers in Maharashtra has chosen BuildTrack Smart Home Automation for its Kolhapur’s residential project. Om Construction has already completed two residential and commercial projects in New Panvel and has also successfully completed all construction and civil activities for establishing manufacturing units in Kolhapur. 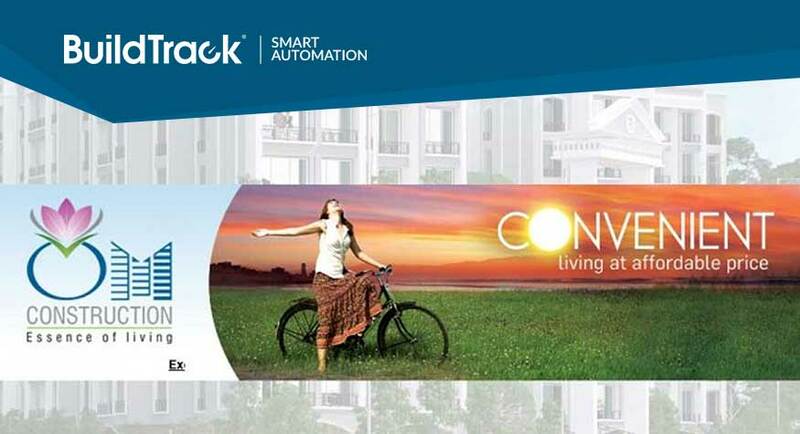 During the project launch, BuildTrack brochures were distributed among the attendees featuring the Smart Automation solutions in their premium flats. BuildTrack automation solutions have also been set up at the OM Construction’s office for demo purpose. OM Landmark is the first Mobile Managed Residential Project in Kolhapur. BuildTrack products are reliable, robust, flexible and long lasting, especially suited to tough Indian operating conditions. BuildTrack automation solutions aim to ensure safety, security, energy savings, comfort and convenience in every apartment/villa. BuildTrack™ automation solutions like power saving motion sensors, remotes and switches for lighting controls have already been implemented in one of the villas. Smoke sensors and Video Door Camera have been installed for safety and security. Monitoring the entire villa through smartphone/ tablet is also implemented in the location.